The last house on the street sits among trees, fields and hills in the middle of Ohio. It was an old farmhouse, which we re-envisioned, and turned into a modern farmhouse. Giving it a fresh point of view meant mixing the old with the new a theme for the 14 month project. And today, the home tells the story of a family: six children who grew up there, and the parents who wanted to, and now can, easily accommodate their expanding family when everyone’s home. 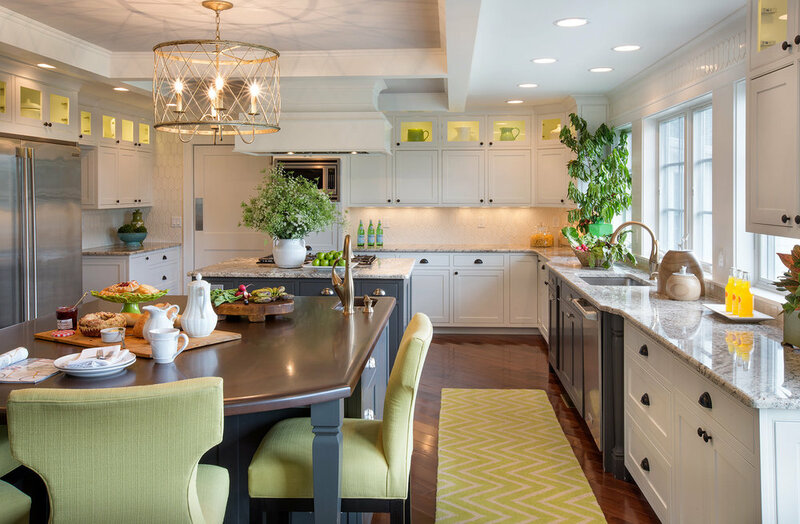 Crimson’s full service design played a big part in the full house remodel. We were involved at the earliest meetings with architects, through the entire construction process, and right into installation, creating a move in ready home for the Jonards. New modern finishes “play nicely” with traditional pieces. A hand-hewn desk sits happily in its color-popped office. Custom designed light fixtures and cabinetry all throughout the house make the house feel up to the moment. But never, for even a moment, do you lose those feelings you’re greeted with as soon as you walk in—feelings that evoke comfort and warmth, feelings that invite you in. We have done several projects with Crimson over 4 years. They are easy to work with and we trust that they know us. Come in, relax and spend a little time with us.